Over 20 years experience of commercial and retail rent review and lease renewal negotiations. Over 22 years experience of commercial and retail property management. Highly Experienced Expert Witness in Arbitration, PACT and Expert Proceedings. Fiona specialises in providing advice on Rent Reviews and Lease Renewals on behalf of both landlords and tenants on a range of premises including retail shops, restaurants, offices and shopping centres. She has extensive experience of overseeing the management of a number of large occupier portfolios and of analysing service charges and resolving service charge disputes from the perspective of both tenants and landlords. Before joining Maple Leaf in 2006 Fiona headed the Portfolio Management Team for Donaldsons’ Bristol office covering an extensive client portfolio within the South West, South of England, Wales and West Midlands. Clients included such occupiers as Kwikfit, Barclays Bank, Lloyds TSB and various government departments such as HM Customs & Excise and the Crown Prosecution Service. Prior to this Fiona was an asset management and rent review surveyor with specialist Bristol practice Mansfield Elstob Main. 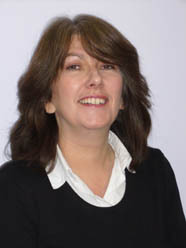 Fiona is a Member of the Royal Institution of Chartered Surveyors.